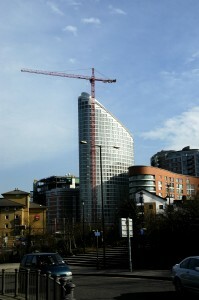 Australian Company Multiplex has been bought by Asset Management Firm, Brookfield and is now known as Brookfield. 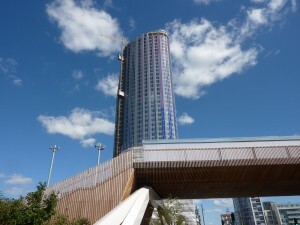 Strata Tower is a 43 storey building, 147mtrs high with three 9mtr diameter wind turbines at the top, and an adjacent 5 storey Pavilion building. 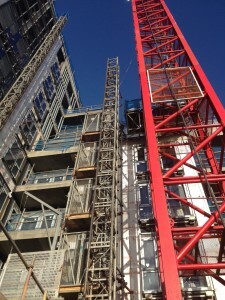 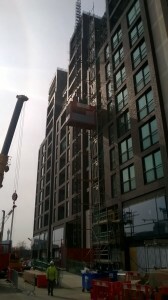 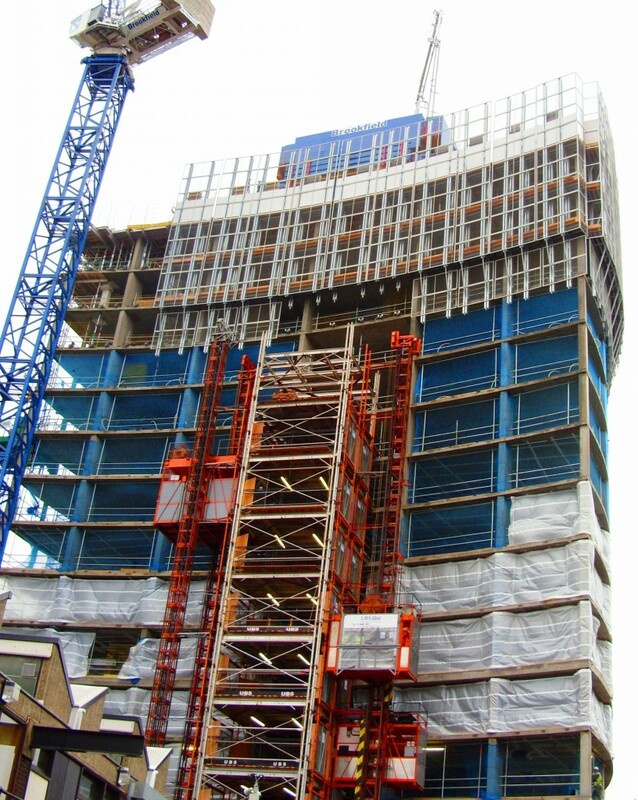 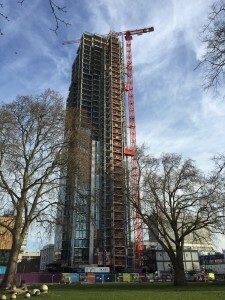 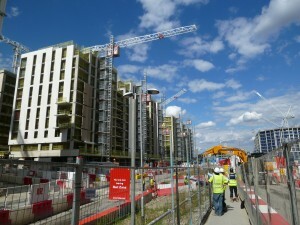 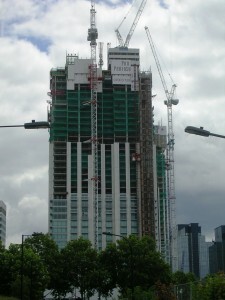 Strata Tower will have 310 apartments and retail units on the ground level. 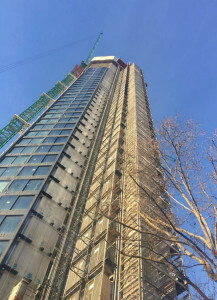 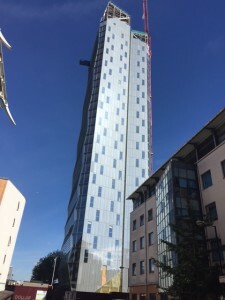 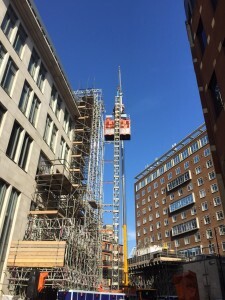 UBS Hoists & Access will be supplying a 5mtr square Common Tower System with a twin high speed passenger and material hoist and a large twin mast Mammoth passenger and material hoist with a hoist car size of 3mtrs wide x 4.2mtrs long. 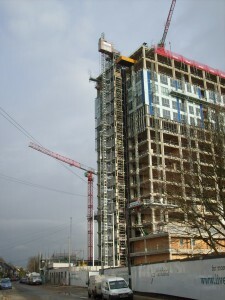 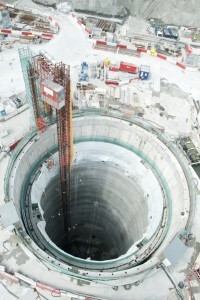 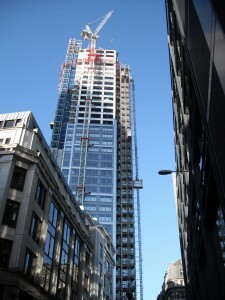 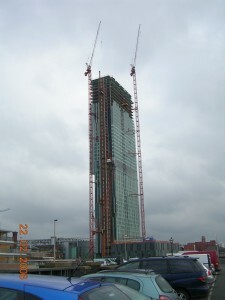 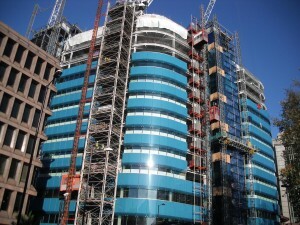 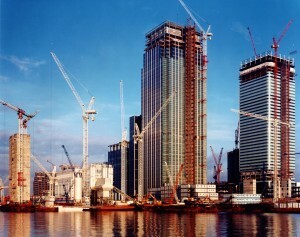 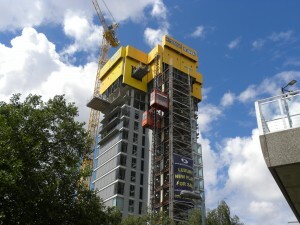 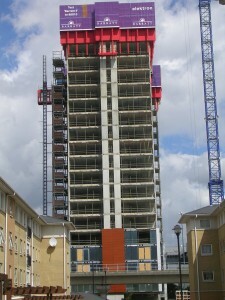 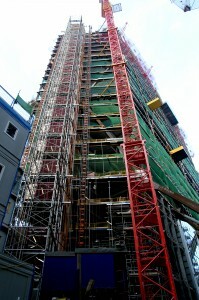 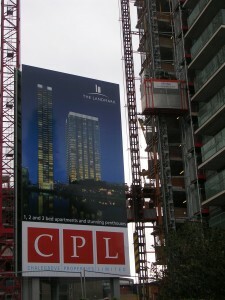 The Strata Tower under construction. 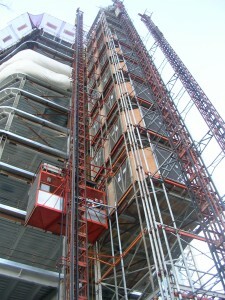 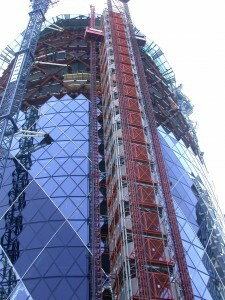 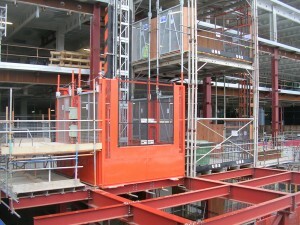 This picture clearly showing the common tower system and twin passenger & material hoists from UBS. 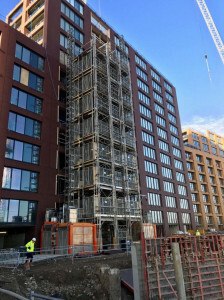 Strata House Under Construction Using UBS Common Tower System and Twin High Speed Passenger Mammoth Construction Hoists for Passengers.